In the small town of Lewis Creek, baseball is everything. Especially for all-star pitcher Austin Braxton, who has a one-way ticket out of town with his scholarship to a top university. All that stands between him and a new start is one final season. But when Austin starts flunking Chemistry, his picture-perfect future is in jeopardy. A failing grade means zero playing time, and zero playing time means no scholarship. Enter Marisa Marlowe, the new girl in town who gets a job at his momma’s flower shop. Not only is Marisa some home-schooled super-genius, she’s also a baseball fanatic and more than willing to help Austin study. As the two grow closer, there’s something about Marisa that makes Austin want more than just baseball and out of Lewis Creek–he wants a future with her. But Marisa has a past that still haunts her, one that she ran all the way to South Carolina to escape. As Austin starts to peel back the layers of Marisa’s pain, it forces him to look beyond the façade of himself and everyone he thought he knew in his town. 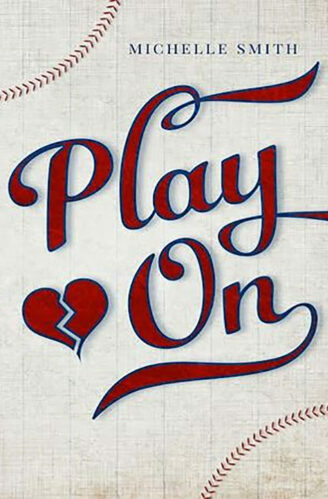 What he sees instead is that in a small town like Lewis Creek, maybe baseball isn’t everything–maybe it is just the thing that ties them all together.